Understand your income tax basis: Work with your lawyer and CPA to ensure that you understand the basis in the real estate. This is important in the event the property is sold and taxes need to be paid. The manner in which you inherit the property makes a large difference in your tax bill. For example, if you receive the property as a gift from your parents during their lives, then you retain their income tax basis in the property. They may have inherited it 50 years ago and have a low basis. I have seen farms with a basis of $50,000 that are now worth $2 million. If that farm is sold, then there will be a capital gains tax on the difference between the basis and the current worth, which could equate to over $600,000. Using the same example, if you inherit the farm from a parent and sell it for the $2 million it is worth as of their death, you would pay no capital gains tax. That’s a savings of over $600,000. What about the estate tax? It may not be as bad because Oregon’s estate tax rate is between 10 and 16%, much lower than the highest capital gains rate. Plus, the estate may be eligible for the Oregon Natural Resource Credit, which reduces Oregon estate taxes on family farms. Using the same example, if you purchase the farm from a parent’s trust or estate for $2 million, then you have a $2 million basis in the property and will likely owe no capital gains tax if it is sold for $2 million down the road. Comply with reporting requirements: If you inherited the farm or purchased it from a family member, beware the reporting requirements for the Oregon Natural Resource Credit. Once you determine whether this credit was taken on the Oregon estate tax return, then for five out of eight years after the death, the recipient of the inherited property is required to file an annual certification to keep the credit that was used to lower the estate tax. If the recipient does not comply, a portion of the estate tax would need to be repaid. Structure your farm ownership: If you own the farm without other family members, then you have the ability to structure new businesses. Consider whom you would like to pass the farm on to. If you want to keep it in your family, then work with a farm succession attorney to structure it in a way that enables your family to keep farming and reduce the possibility of disputes. Commonly, farmers will separate business operations from the land, with the operations held by one business and the land held by another entity. This enables your attorney to help you frame the way the operations and the land will transfer to the next generation. It can also provide asset protection during your lifetime. Create your estate plan: The business succession plan and the estate plan need to dovetail with one another. A common issue is finding business buy-sell documents that do not coincide with the will or trust. Making sure the estate plan wraps around the business documents so that the farm will transition the way you want it to is important. Most farms I work with use a revocable living trust as their version of a modern will. This allows families to incorporate estate tax planning and transition the farm privately at death, without incurring a court probate. Your attorney can explain the pros and cons of a will-based or a trust-based estate plan. Farmers keeping the farm in the family for generations can be an amazing legacy and a wonderful part of Oregon culture. As you transition to the next generation, make sure to seek the assistance of a qualified farm succession attorney and CPA to avoid unexpected tax consequences, work through family dynamics, and alleviate potential roadblocks. 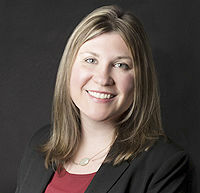 Maria Schmidlkofer is an attorney with Schwabe, Williamson & Wyatt. She focuses on farm succession planning and estate planning. She works with farmers throughout the Pacific Northwest. You can reach her at mschmid@schwabe.com or (503) 540-4265.